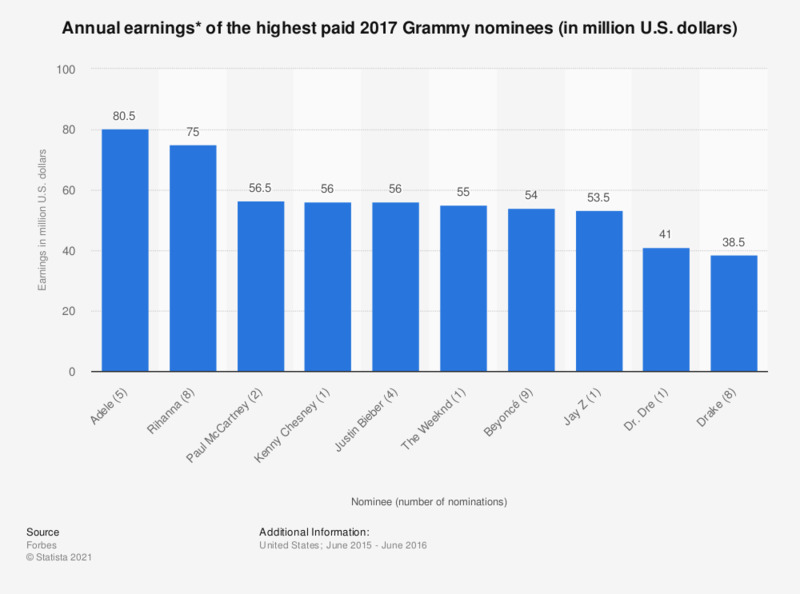 The statistic presents annual earnings of the highest paid 2017 Grammy Awards nominees. According to Forbes, Adele, who received five nominations, was the best paid Grammy nominee, with earnings of 80.5 million U.S. dollars between June 2015 and June 2016. * The source provided the following explanation: "The list relied on figures from our 2016 ranking of the World's Highest Paid Musicians, which measures pretax earnings from June 2015 through June 2016 before deducting fees for agents, managers, and lawyers."